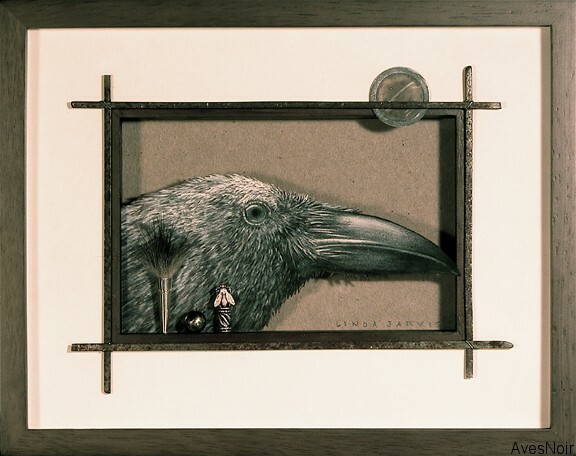 Linda Jarvis is a mixed media ‘evolutionary’ artist from Washington state, USA who’s tangible style and charming execution pays perfect homage to her favorite subject matter: Crows and Ravens. Each of her multi-dimensional pieces reflects a multi-dimensional message of the subconscious whim and the conscious framing of our realities. On the subject of her chosen symbol, she says,”This species of birds is one of my favorite. I am delighted with their intelligence and impressed with their genius and mastery of tasks. 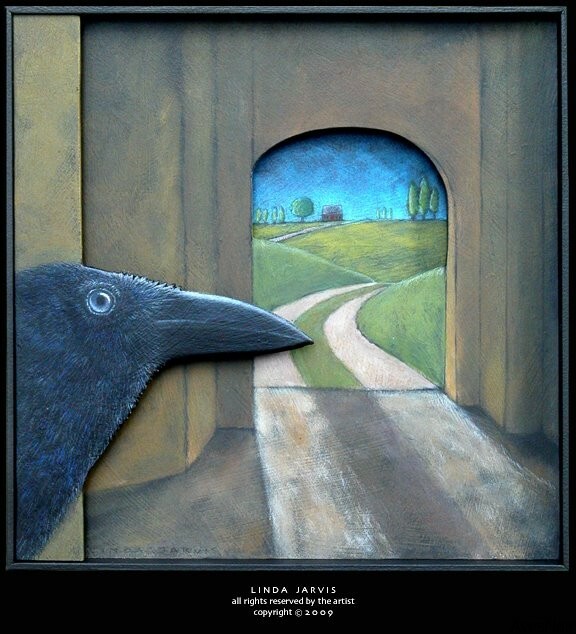 “With all the thievery we see in the behavior of crows and ravens, keeping an eye on all our shiny objects, such as keys, would be diligent on our part, lest we lose them to these clever Corvidaes. This piece, MID-MIGHT THEIF, suggests this mischievous act. To follow Linda, visit her blog here.